We all have to start somewhere. My journey to becoming sleek (hee hee) must therefore include becoming adept at nail art. I will begin at the barest of art: dots. As you may have read a few weeks ago I have acquired a few bottles of Dazzle Dry lacquers (spoiler: I bought more! will upload soon!). I decided to embark on my nail art journey with two of these lacquers: a base of Lavender Parade and dots of White Lightning. 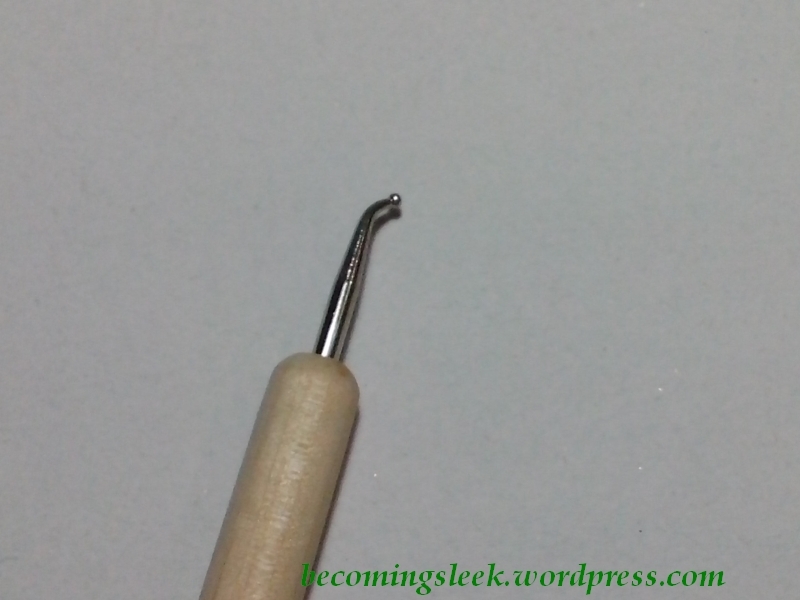 And of course, I came equipped this time with a propper dotting tool. 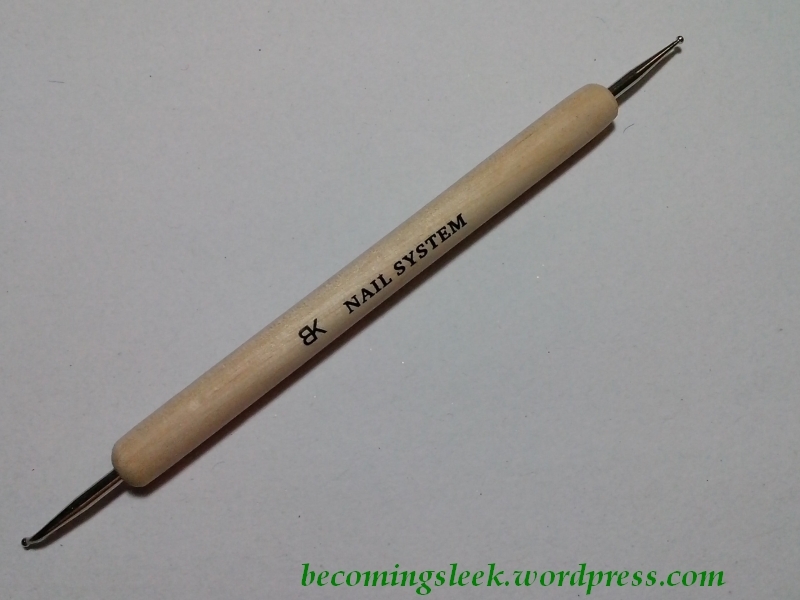 This is a BK Nail System dotting tool which I bought from Landmark Trinoma, for only about Php70. It comes with two heads, a regular straight dotting head and a bent-tip dotting head. For this beginner’s art I used the bent-tip as dotting is much easier with that. Here is the finished nail art. 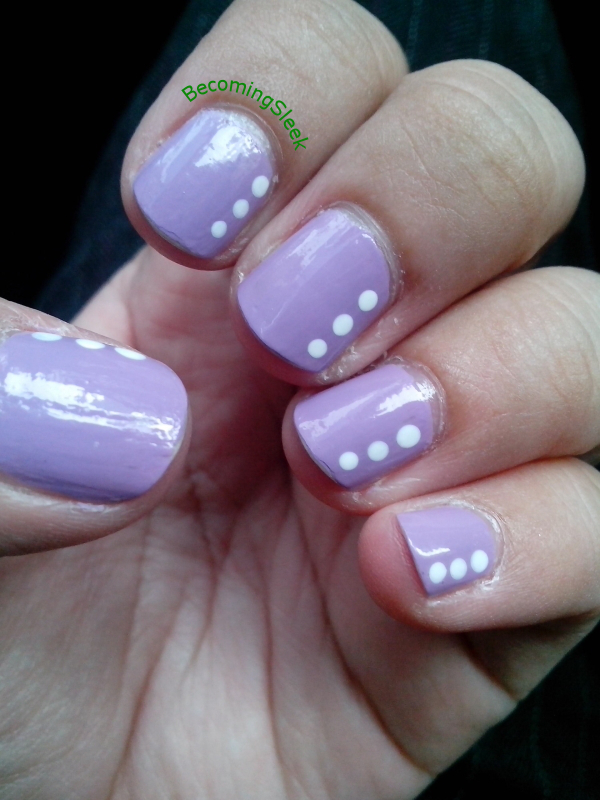 I just started with a base of 2 coats of Lavender Parade, then dotted three small White Lightning dots on the outer side of my nails. Quite simple, but I think that it’s acceptable and even a bit classy. hi again pat 🙂 i like this color combination. 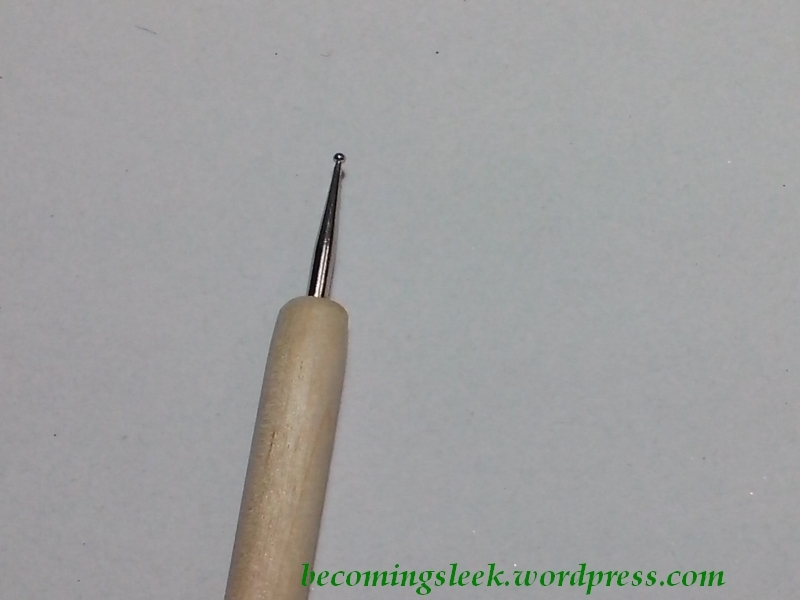 similar din pala ung dotting tool natin pero i think masmanipis ung sayo and i like that. ang hirap maghanap ng nail art tools here in the south 🙁 do you know where to get those super think brushes for nail arts? Oh! I saw something similar from The Face Shop. I didn’t buy it din hehe.